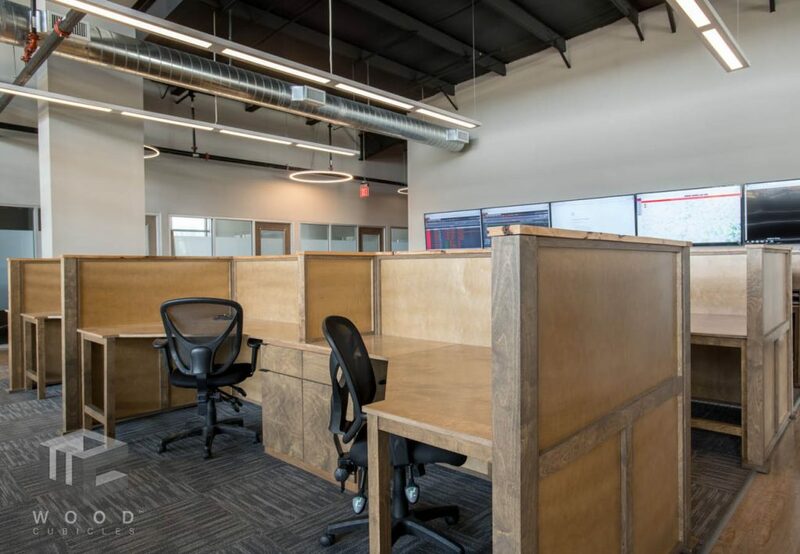 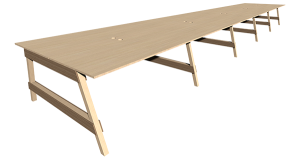 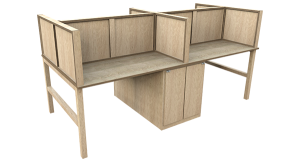 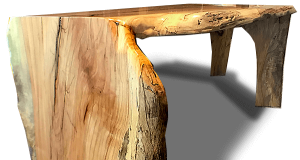 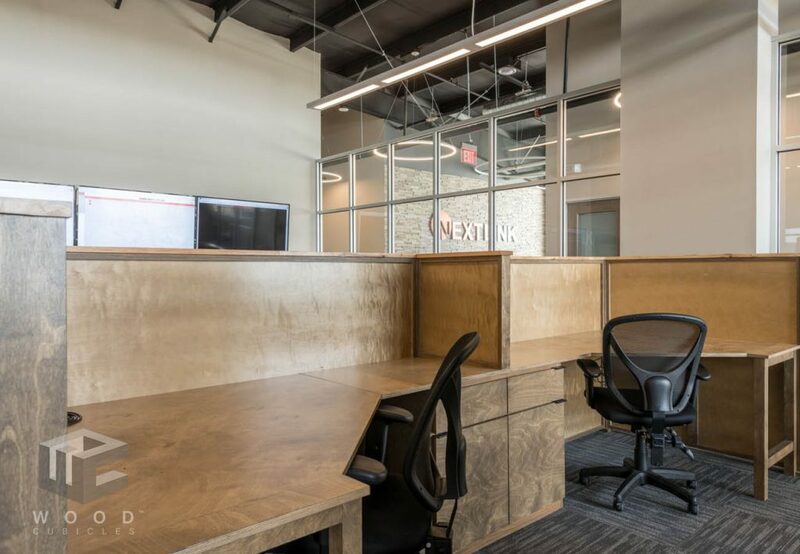 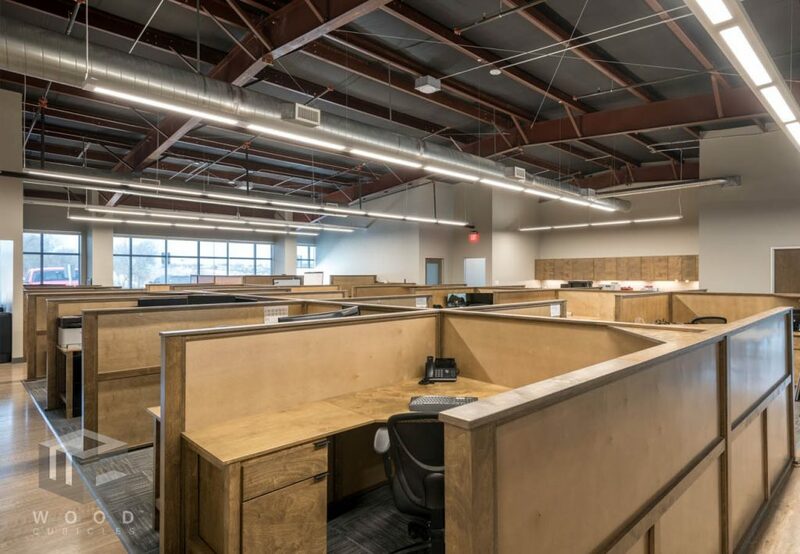 Each workspace position includes: a single door & drawer cabinet (an optional second cabinet could be added in place of the leg assembly); choice of 45-degree or concave radius baltic birch desktop; 50” tall acoustically insulated partitions; baltic birch wall cap. 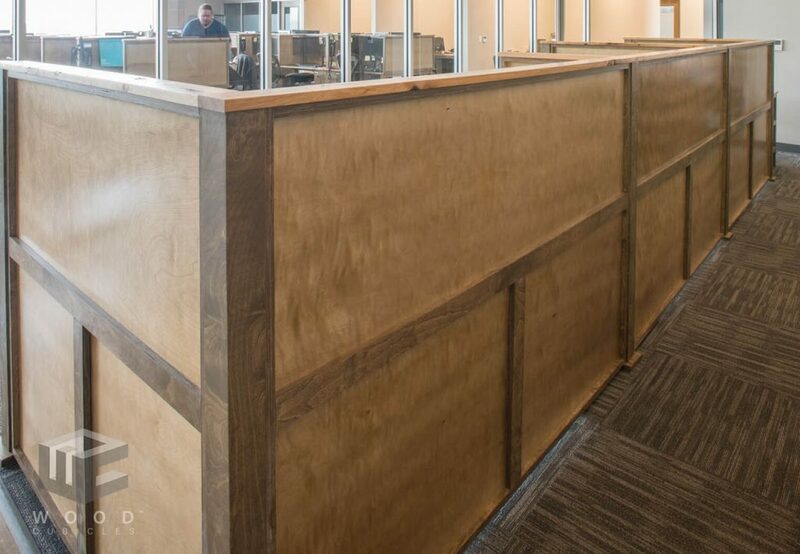 Premium hardwood wall cap options are available. 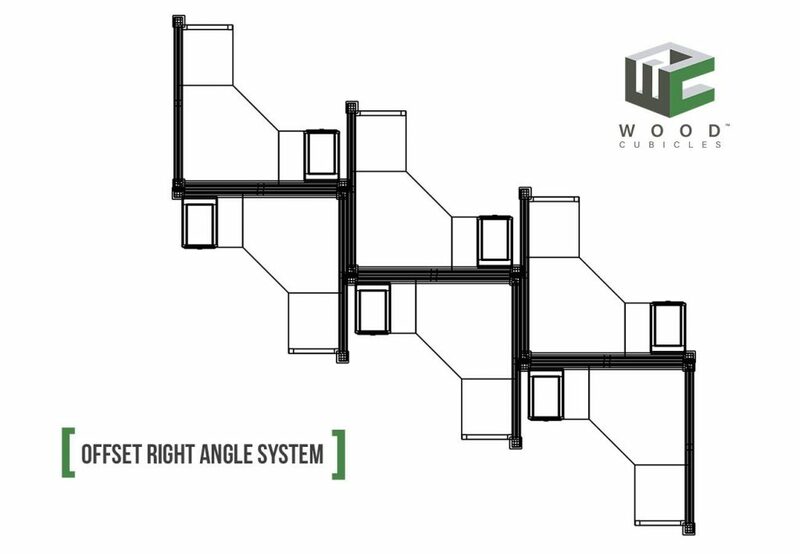 CAD drawing of Offset Right Angle Cubicle System shown above.